He was an Indigenous boy who died 50 years ago trying to run away from a Northern Ontario residential school. 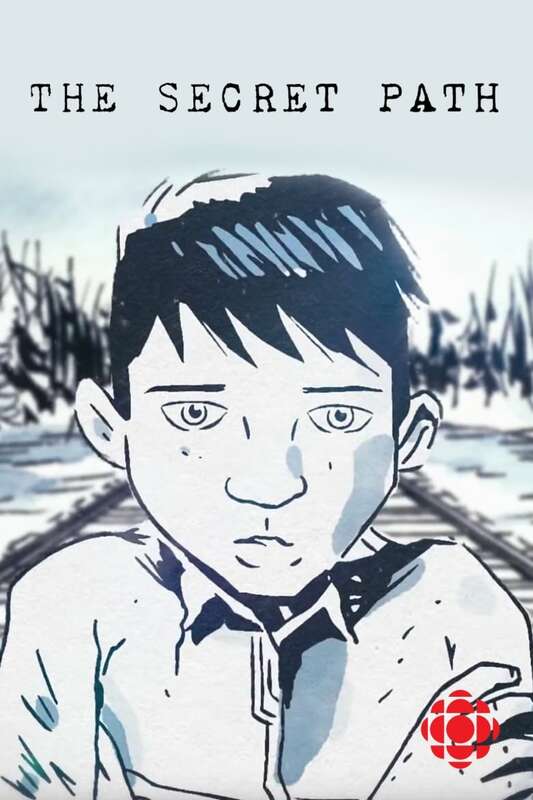 And now, Gord Downie has released an album and film about Chanie Wenjack's life. Chanie's sister, Pearl, and Gord Downie's brother, filmmaker Mike Downie, join Carol Off in the As It Happens studio. Gord Downie calls it the most important thing he's ever done. The Tragically Hip lead singer just debuted his latest album and multi-media project: Secret Path. Musically stripped down, Secret Path is the culmination of the singer's quest to tell the story of an Indigenous boy who died trying to run away from a residential school near Kenora, Ontario. 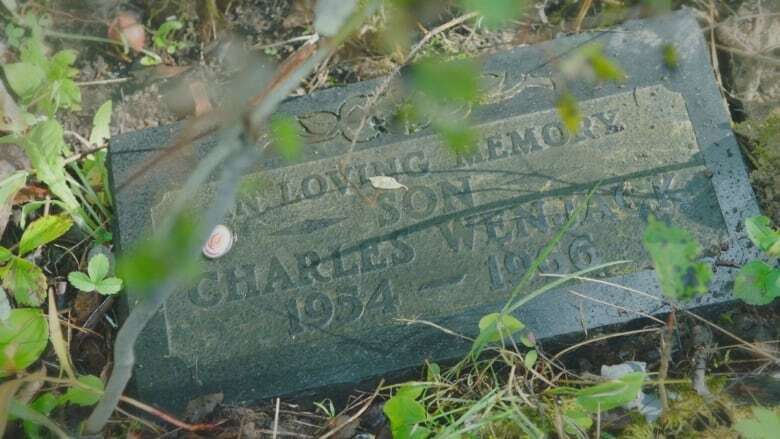 The boy's name was Chanie Wenjack. The 12-year-old tried to walk 600 kilometres home, but was found frozen to death beside a railway track. The Wenjack family collaborated with Downie on the project and were in the audience as the new album was performed for the first time in Ottawa. 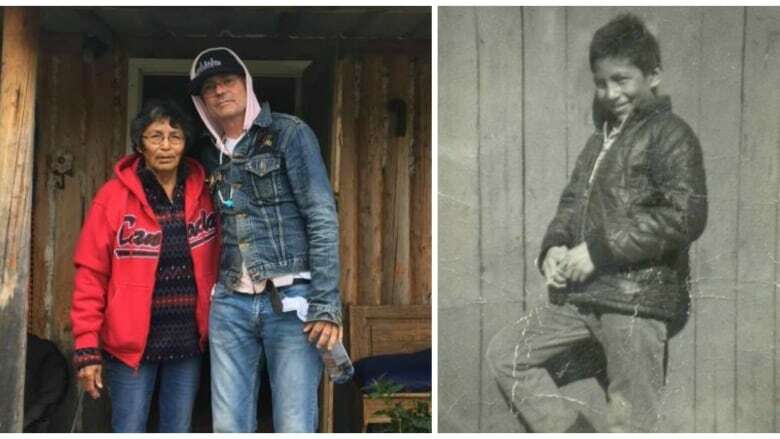 Ahead of the show in Toronto, Chanie Wenjack's sister, Pearl Wenjack (who refers to her brother as "Charlie") spoke with Carol Off in the As It Happens studio. Also joining her was Mike Downie, Gord Downie's brother, who is the producer and co-creator of the film version of Secret Path. Here is part of their conversation. Carol Off: Pearl, what does this story tell that's in this film and in this book? Pearl Wenjack: The story of Charlie should have never happened. The death that he went through and the pictures that were done were very graphic but it was the stark truth. I don't believe that any child should suffer just to go to school — just to make something of himself. CO: Charlie had gone to a residential school, do you want to tell us about that? What do you remember as yourself, as a girl, about when your brother went away to school? PW: I didn't go to school when he left because my name was not on the list. He had said that he didn't want to leave. The day that he left we were standing on the pontoons of the airplane that he was leaving in. He kept on saying that he didn't want to leave. You know, saying, "Why are you not going because I don't want to go if you're not going." I told him my name is not on the list. I told him you have to go. He kept on insisting that he didn't want to go. Then when I told him he has to go, he said okay. 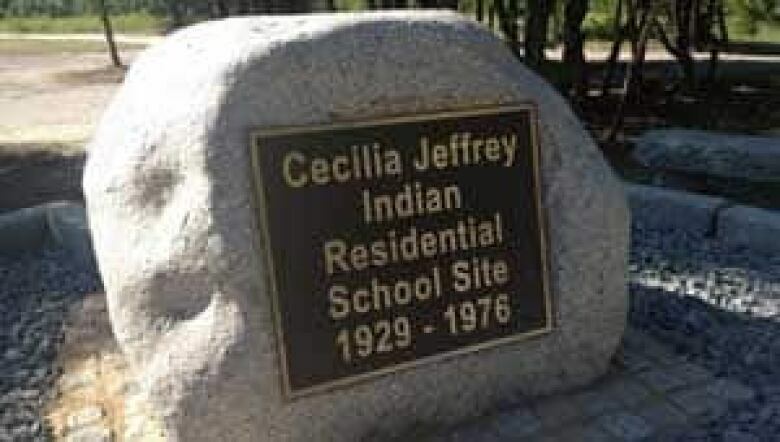 CO: He left to go to Cecilia Jeffrey Residential School. What do you know about his life there when he got to that school? PW: My life was probably the same as his. When I left at six years old I had to fend for myself. Being a boy, the only boy, he didn't have anybody else. I had two older sisters that were there with me but even then we were separated. If my sister was comforting me in any way, shape or form, and I was crying, they would be punched. I'm pretty sure Charlie had to do everything on his own because he had nobody else. We hardly saw him when he was in the same school. CO: What decision did he make about going home? What do you know about that decision? PW: I think he just wanted to go home and it didn't matter to him how he was going to get there. It didn't matter to him how scary it was. All I think he must have thought of was the safety of the home. The happiness that he had experienced there with Dad and Mom. He ran away. He took no account of dressing warm for the weather. That was in October. He was trying to walk home. CO: When did you find out that he had left the school and was trying to come home? When did you learn what had happened to him? PW: I didn't find out. I found out that he was no longer with us when they brought his coffin home. There were other ways that they could have told us. There was a radio that was at the Hudson's Bay Company. Those people could have called there to tell us that this is what happened. That same day when he came home in a coffin there were three letters. One of those letters was from the principal. He wrote that the kids are okay. That they were doing fine and everything. When his coffin landed that day, when he landed that day, I couldn't believe it. I kept on telling my sister Daisy that the principal said that you guys were okay. CO: What did they tell you about how Charlie died? PW: They didn't. They didn't tell me. I only found out through the magazine. CO: This is a Maclean's magazine article that was written in the 1960s. What did you find out from that article? PW: They said that he died of exposure and hunger. That he didn't have anything in his stomach and that's all I know. CO: You and your family have never been able to get more of a story as to what happened. Who knew? What efforts were made to find him to prevent this from happening? PW: Nothing. The only thing that happened was that one of his friends came forward to tell my sister Daisy that they were sexually abused. This friend is still alive. CO: What do your parents understand? Your father has passed away. What does your mother understand about what happened? PW: She doesn't. Before we came, I was explaining to her about this trip. I asked her if she would be interested in coming. She said, "Let me think about it." She said, "Why now? How come they never told me why he died?" CO: How did you come to know Gord Downie and Tragically Hip — how did they get involved in this? PW: Ever since he died I wanted to do something about his death — that he shouldn't die in vain. I think that he represented so many children and I was trying to find out how I was going to do this on a national basis. As I was sitting there that afternoon the phone rings and it was Mike Downie. He went on to explain that he had read the article in Maclean's and that Gord had gotten a hold of it as well and then Gord decided that he wanted to do something about the whole thing. CO: Mike, when you read the story what did you think? Mike Downie: I actually heard Jody Porter's radio documentary on Charlie and his last days. Of course, that was very influenced by Ian Adams article in Maclean's. When I heard that radio documentary I was driving and felt the image of a 12-year-old boy leaving a residential school and walking home. I remember how she said it in the doc, which was 600 kilometres away. I could just imagine the whole scene — late October, northern Ontario. My son, Will, was 12 at the time. It just hit me over the head and I was seeing Gord that night and I told him, "I just heard the most incredible story tonight. You're not going to believe it." We decided that we have to see if there is a way we can tell the story. CO: I want to ask you when your brother Gord got involved, did his own illness inform the project? Was that something that he brought to it? MD: Not really because this has been three years in the making. The record was done almost three years ago. 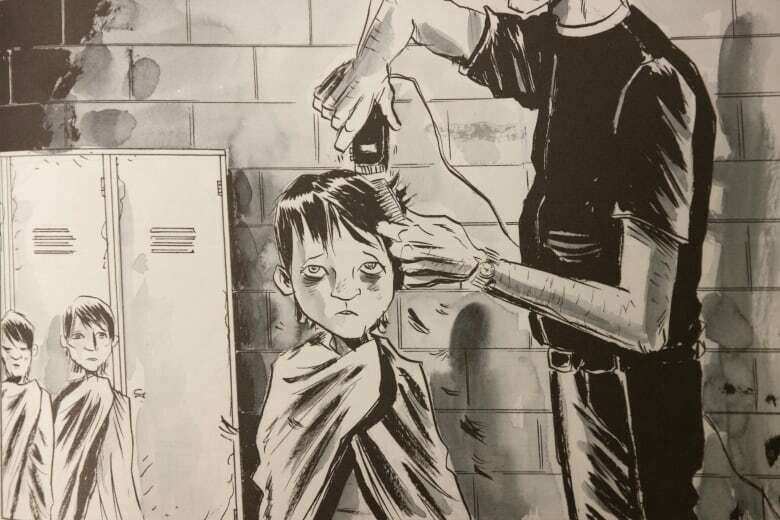 What happened was after we had the graphic novel and the record we were thinking about making a short film. Then Gord's news came out in the spring, about his cancer. We'd already been dealing with that for six months. It all started the day after my father's funeral. He had a massive seizure, back in the end of October. CO: Pearl, what does this collaboration mean to you? PW: Gord Downie is a man. I knew he was sick and I appreciated what he was doing to make life meaningful. Maybe he thought, "I'm not having it so bad." Doing this, has given him the strength to finish the project with what he started. CO: What is it do you think that inspired Gord about your brother? PW: I think it's just between life and death. That he is not dead yet. That he still can do something. Something that's more meaningful in his life and he is doing that. Since finding out that he can do better for others, I think it's given him hope that there is more time to be made. CO: Has this project and telling the story this way given you any peace? PW: It has — a great deal. Because I'm very much concerned about the children going to high schools and losing their lives. Every time a child loses his life or her life I walk through the same path as they have. I remember Charlie again and the fear that he must have had — the unhappiness. Just going, and wanting to get home. 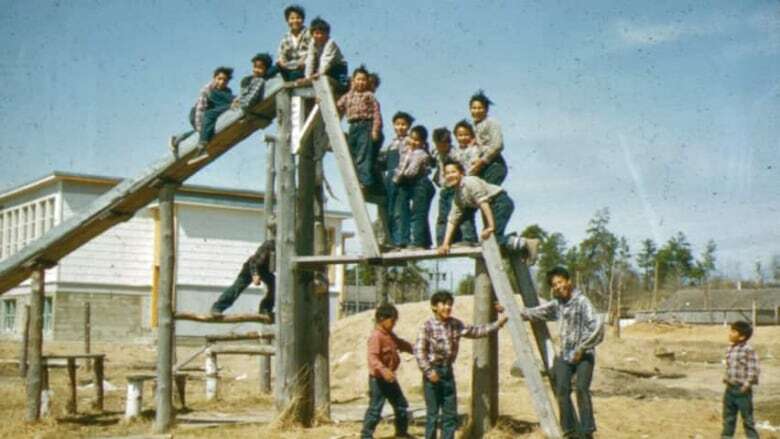 For more on this story, listen to our full interview with Pearl Wenjack and Mike Downie.